Dr. K.A. 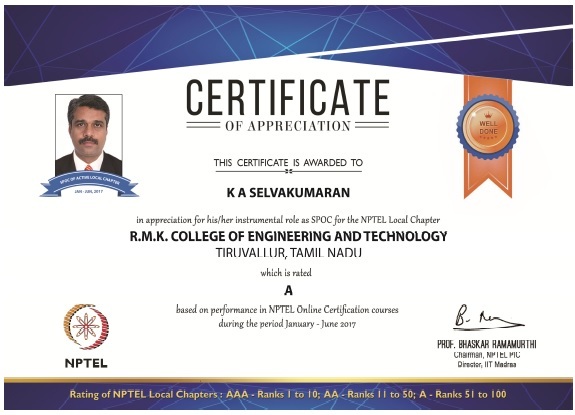 Selvakumaran was recognized for his instrumental role as SPoC for NPTEL Local Chapter in our college for 2016-17. 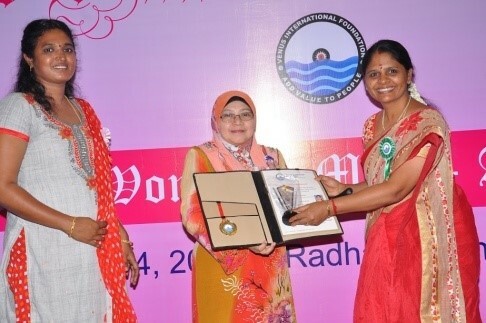 Ms. G. Vasukidevi (SPoC) was recognized as GOLD partner faculty under Inspire - The Campus Connect Faculty Partnership Model. Dr. Geetha Balachandar was awarded "Distinguished Women in Engineering" by Venus International Women Awards in May 2016. Dr. B. Kalithasan was awarded "Young Scientists Research Award" by Science and Engineering Research Board (SERB).